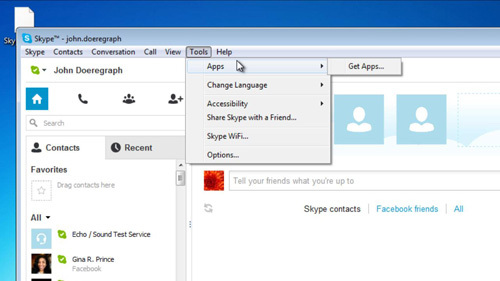 In this tutorial you are going to how to download Skype games. 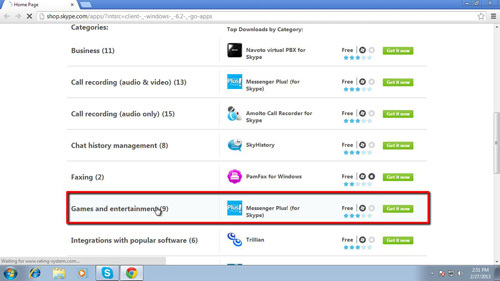 There are also many other apps in the Skype “App Directory” for you to choose in addition to games. Open the Skype application and sign in using your Skype credentials. Choose “Apps – Get Apps…” from the “Tools” menu. 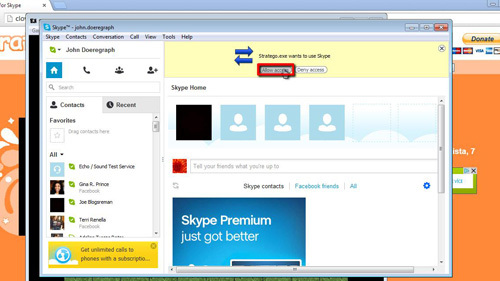 This will open your default web browser to the Skype App Directory. Scroll down this page and find the list of “Categories”. Select “Games and entertainment” from this list. Scroll to the app you want and click on the green “Get it now” button that’s in the same row as the app you want along the right hand side of the page. The download process will differ depending on what game you are installing. Here we have to download the app from the third party website and once it has downloaded, close Skype and launch the installer we just downloaded. Go through the installation process as you would with any normal Windows program. Start Skype again and sign in. Now open the program we just installed by using the start menu. The program will launch. You will need to “Allow access” in Skype. 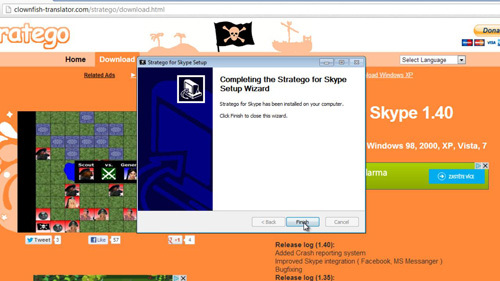 This is just one example of how to download Skype games.